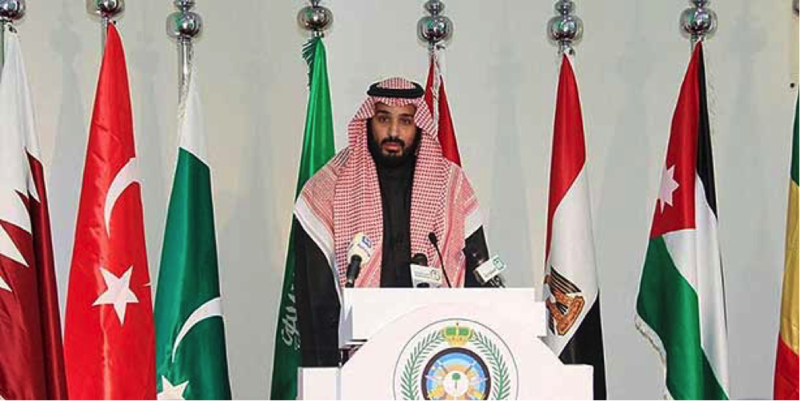 Saudi defense minister and deputy crown prince Mohammed bin Salman (above) recently announced the formation of a new 34-nation “military alliance,” with a joint operations centre based in Riyadh, to fight terrorism. The announcement, however, seems to have caught most of its members, including Malaysia, by surprise. Our defense minister, Hishamuddin Hussein, immediately downplayed the possibility of Malaysian troops being deployed to the Middle East and is now reportedly planning a hurried visit to Saudi Arabia to find out what exactly the Saudis have in mind. Although the Saudi announcement was short on details, some salient features are already evident. First, this is primarily an alliance of Sunni-led states. Shia Iran, a major player in the Middle East, and certainly a force to be reckoned with in the fight against ISIS, has been excluded from the alliance. Even Syria and Iraq, both of whom are engaged in a deathly struggle with ISIS, have been excluded, presumably, because they are too close to Iran. Clearly, this is an alliance concerned more about regional rivalry than terrorism, a cynical exploitation of global concerns about terrorism to advance the Saudi agenda vis-à-vis Iran. It is bound to further aggravate the Sunni-Shia feud and push Saudi-Iran relations to the brink. There is no question, of course, that fighting terrorist groups like ISIS requires a strong, coordinated and sustained military campaign. Currently, some sixty-five nations are part of the US-led coalition against ISIS and almost 9000 airstrikes have been carried out to date. These efforts, however, have been severely hampered by precisely the kind of regional rivalries that the Saudis and Iranians are engaged in. Local powers, each pursuing their own agendas and working at cross purposes, complicate an already difficult situation and allow terrorists groups like ISIS further room to manoeuvre. On balance, therefore, the alliance, if it ever gets off the ground, will make an already difficult situation worse. Expect to see more Sunni-Shia bloodletting and the rise of yet more militant groups fighting each other on behalf of their patrons, with disastrous consequences for the rest of the world. It is also abundantly clear that military action, as important as it is, cannot by itself defeat terrorist groups like ISIS. A much broader strategy that targets particularly the roots of Sunni radicalism must be crafted if the war on terror is to have any chance of success. Sunni radicalization, of course, has been attributed to a number of different causes. 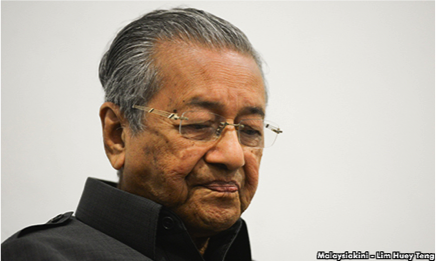 Others, like Dr. Mahathir Mohamad (left), blame Islamic radicalism on Israel as well as Western military intervention. One can certainly argue that the US invasion of Iraq in particular was enormously destabilizing but it is harder to make the case that ISIS is a consequence of the unresolved Palestinian issue, especially when the victims of its barbarity are almost entirely other Muslims. While these issues are, of course, part of the toxic brew of Middle East politics, the evidence suggests that the main driving force behind Sunni radicalism today is the Wahhabi ideology that is sponsored and supported by Saudi Arabia itself. Nothing else feeds Islamic extremism as much as Wahhabism. It is the single common denominator, the politico-religious underpinning, of some of the worst Islamic terror groups in the world today. Wahhabism, an extreme and austere interpretation of Islam, was founded by Muhammad ibn Abd al-Wahhab (1703–92). It preaches, teaches and promotes a culture of extreme intolerance and justifies the use of violent jihad to achieve its political and religious objectives. By some estimates, the Saudis have already spent more than USD 100 billion in exporting its Wahhabi ideology across the Muslim world through an extensive network of madrassas, universities and cultural centres. Unsurprisingly, Wahhabism is fast becoming the principle narrative in the Sunni Muslim world and parallels the spread of radicalism. General Jonathan Shaw, former British Assistant Chief of the Defense Staff, called Wahhabism “the root cause of Islamic extremism… a time bomb that is funded by Saudi money.” He went on to say that the fight against terrorism is primarily an ideological battle and unless the fundamental problem of Wahhabism as a culture and a creed is addressed, the war on terrorism cannot be won. The greatest contribution that Saudi Arabia can make in the fight against terrorism, therefore, is to simply stop exporting its extremist Wahhabi ideology and take real steps, both at home and abroad, to promote the kind of policies that are consistent with what its leaders insist Islam stands for – peace, moderation and tolerance. In preparation for our defense minister’s visit to Saudi Arabia to discuss the war on terror, our own government also needs to do some real soul-searching about the alarming rise of radicalism at home – at least 50,000 ISIS sympathizers and supporters according to one senior official – and what it can sensibly do to contribute to the fight against global terrorism. Again, the widespread influence of Wahhabism in Malaysia has not been helpful, fostering a more intolerant, confrontational and militant worldview. The government ought to take the Saudis to task over it; the much talked about RM2.6 billion gift from a mysterious Saudi donor, however, might make this difficult. As well, the government’s widespread use of religion as a political tool to consolidate its own position makes an already dangerous situation worse and is completely counterproductive. That a “moderate” country like Malaysia can produce so many ISIS sympathizers and a significant number of ISIS fighters must surely indicate that something is going terribly wrong with the way religion is managed in this country. However, this is hardly surprising, given that our politicians and religious leaders are constantly harping on imaginary threats to Islam, warning about dark and sinister plots by Christians, Jews, liberals, etc., and fostering a siege mentality among Muslims. Instead of hosting closed-door indoctrination courses that demonize Christians, the government might better contribute to the fight against terrorism by organizing seminars and conferences to warn young Muslims about the very real dangers of radical groups like ISIS. Instead of running down other faith groups, the government should take the lead in instilling a culture of tolerance and respect for diversity in keeping with the values that all agree are intrinsic to Islam. Instead of attacking moderate groups like G25 who are fighting to reclaim what King Abdullah of Jordan called “the soul of Islam,” the government, if it is really serious about tackling Islamic radicalism, should welcome them, work with them and encourage them to take their message into our schools and universities. After all, groups like G25, unlike so many government agencies, give genuine substance to the prime minister’s recent call to build a Muslim community that is “moderate, noble, excellent, non-extreme and fair.” They should be applauded and honoured rather than harassed and vilified. Like Saudi Arabia, the greatest contribution that the government can make in the fight against terrorism, therefore, is to actually walk all the talk about moderation, to live up to all the great speeches that our prime minister never tires of giving on his frequent foreign trips. With political courage and leadership, Malaysia and other Muslim countries can begin the process of breaking the cycle of extremism and radicalism that has plagued the Muslim world. They do not need to search for external causes; they only need to look at their own policies and practices in an honest and open manner. Whatever it is, it’s time to end the mindless hypocrisy of claiming to fight terrorism on the one hand while contributing, directly or indirectly, to the kind of intolerance and extremism that feeds it.